In many countries, women traditionally make handicraft items at home and sell them for extra household income. This form of business is suitable to them due to the availability of raw materials and low operational cost. In many cultures, women are not expected to leave their domestic responsibilities and house territories to earn additional income. In such a situation, women tend to find alternative ways to increase family income. For instance, they give private tuitions, stitch clothes and provide saloon services at home to keep up with the increasing household demands. Similarly, many women run small scale businesses like selling homemade products which includes handicraft items. Not all women who have the passion for handicraft items have the skills and knowledge to run their own business from home. Keeping in mind the benefits of homemade handicraft business for women especially in villages, Muslim Aid implemented a handicraft training project in Banda Aceh, Indonesia. The training session aimed at enhancing beneficiaries’ skill and knowledge about utilizing organic raw materials, i.e. dried leaves and dried barks which are worthless, to convert into finished valuable product. In addition, the training also aimed to develop the participants’ capacity to diversify their products enabling them to be innovative in order to earn more income in the competitive market. 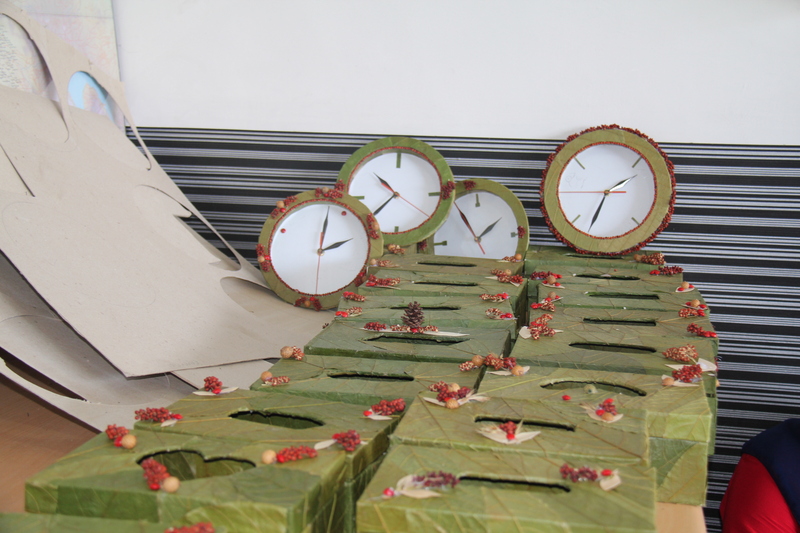 Through this project, 20 beneficiaries were trained at making flower vases, beauty container with mirrors, tissue boxes, bottle holders, decorative lamp and picture frames using waste materials like dried leave, beans and sea sand dried flower, recycled paper, dried banana bark and grass. Waste raw materials are not easy to handle and require patience, experience as well as training to learn essential techniques such as tips and tricks to manage dried leaves which are easily broken into pieces and not easy to measure once they have been cut. Measuring dried leaves is important to give the finished product a smooth and tidy look. Muslim Aid also helped the beneficiaries in linking them with markets through organising exhibitions and monitored the project regularly to ensure the sustainability of the project. One of the beneficiaries of the training session is a 35 years woman who also received an amount of IDR 2.000.000 as her first loan to start her own handicraft business. Her sale of handicraft items such as acrylic flowers and knitted brooches increased and her finished products received more national and international exposure through the exhibition organised by Muslim Aid. Besides running her own business, she is now also a well known handicraft trainer and is invited by NGOs to train beneficiaries from different communities. Although many women in villages have the drive and skills to produce valuable handicraft products, professional training sessions can help them in building their capacities and confidence to turn their hobbies and skills into small sale business and give them exposure to marketing techniques and access to different markets further increasing their income.